I first encountered Dan Wells as one of the voices on the Writing Excuses Podcast. He certainly knew his stuff, and a strong sense of humour, so i resolved to pick up his book the next chance i got. This chance came about last week, when i found it in Chapters Books 2nd hand section. It also skipped past my too be read pile. The story is very simple, its about a young man, John Cleaver, who knows he is a sociopath, or at least once he is 18 he will be giving that diagnosis by his therapist, whom he sees each week. 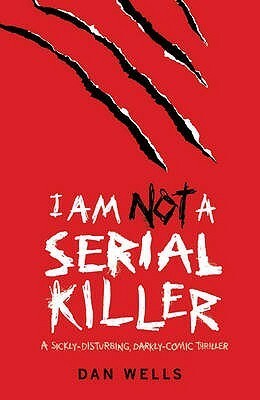 He has had an interest in serial killers since he was eight years old, and he knows that if he isn’t careful he could easily end up as a serial killer. This is something he does not want to do, so he has establised rules about interacting with people. My favourite one was that when he considered hurting someone, he would say something nice to him. He lives in a nice small town where nothing ever happens, that is until something shows up killing people and stealing body parts. John gets interested in this, and through part luck part plan he ends up finding out that the killer is a demon, and that he must somehow stop him, as no one would believe him that there is a demon in town. I really enjoyed the book, and had difficulty putting it down. It is told in a very personal style, First person past tense, though in the early chapters there are many refences to what is to come. I do recomend this book, and i shall be putting the sequels onto my buy list.